Continuing on today's earthy and organic note... how gorgeous is this little nook! 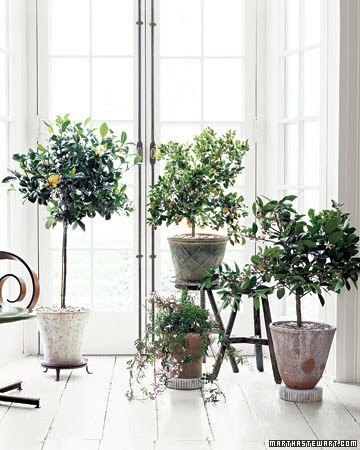 I would absolutely adore being able to grow lemons and oranges indoors! So light filled and simple! Labels: How Does Your Garden Grow ? I love it. I cannot grow a plant inside if my life depended on it. That is a great idea to grow them indoors and they look so pretty too! Thanks for sharing this!